Moving as a senior is not easy to manage. With finding a new home and settling all the paperwork, the last thing you should worry about is moving all of your stuff. Luckily, with our senior movers, you don’t have to stress out anymore. We are here to make your relocation easier, efficient and budget-friendly. 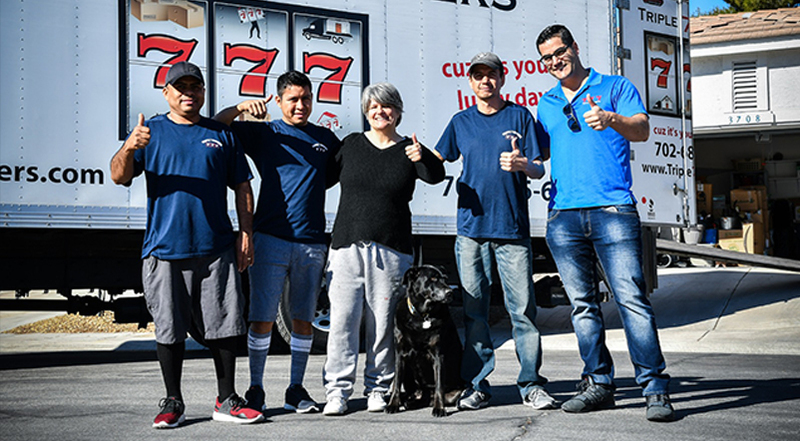 If you are looking for reliable moving companies in Las Vegas, Triple 7 Movers could be a great choice for you. Our moving company offers affordable prices and reliable moving services. No matter the distance of your move, our relocation experts will make sure to help you organize and perform a smooth, stress-free move. Contact us today and secure a hassle-free relocation, or get an instant free moving estimate! 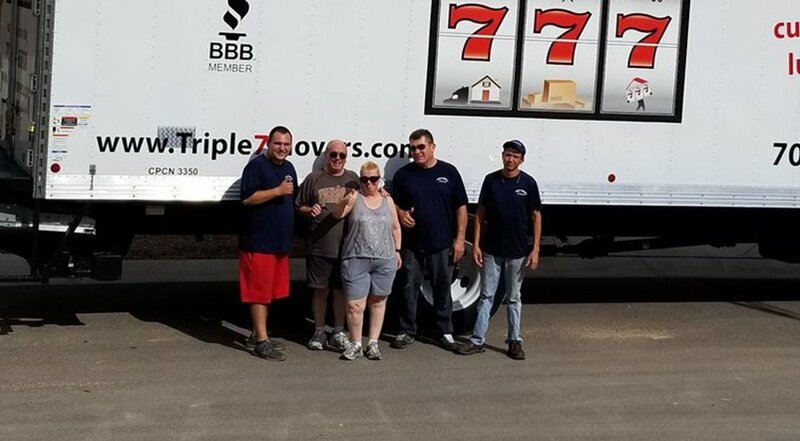 Why should you consider hiring Triple 7 Movers? If you plan to move a long distance and have a large inventory to move, it’s better to call professional packers. No matter how complicated your move is, our relocation experts are here to help. By hiring Triple 7 Movers, you will save valuable time and energy during your move. All you have to do is to choose the service you need. Whether it’s just the transportation, or you want us to help you pack – let us know. Our senior movers will help you plan a perfect relocation and choose the best service for your move. If you have a complicated moving situation ahead, don’t worry. Our senior movers are here to adjust the moving service to your unique relocation. Triple 7 Movers will listen to your needs and honor your moving budget. How can our senior movers help you move? Our senior movers are here to guide you through the moving process every step of the way. We will help you plan the move in a few stages. Our senior movers will help you calculate your inventory, and make sure to listen to all the details regarding your move. After planning your move, we will offer you a free estimate of the moving costs. Let us do all the packing. Our senior movers will make sure to provide the best quality packing supplies and carefully wrap every item in your inventory. Moving supplies. No matter what you need to move, we will provide the best moving boxes for you. Let us help you choose the number and size of moving boxes for packing your belongings. Efficient transportation of your inventory. With Triple 7 Movers, there are no delays or hidden costs for your move. 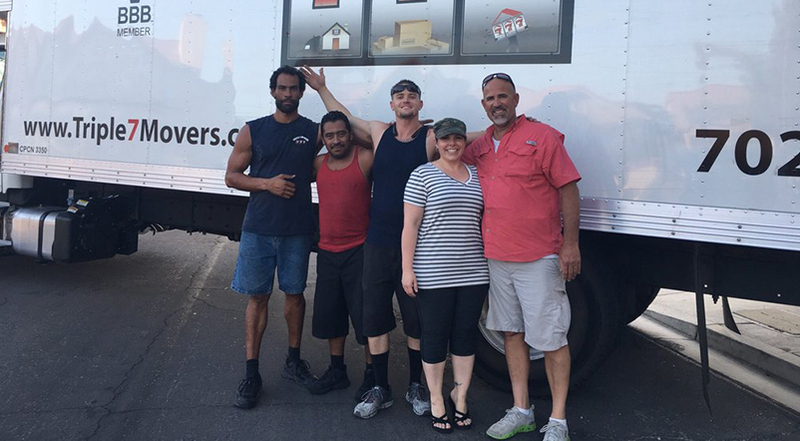 Our residential moving services in Las Vegas are reliable and flexible and our senior movers make sure to deliver your inventory in the shortest amount of time. Moving to a new home is difficult most of the times. However, moving as a senior might be even more complicated to manage. Depending on the nature of relocation, many heavy lifting tasks are hard to manage without hiring professional senior movers. Here are some of the most common difficulties of moving as a senior. No matter the distance of your move, our relocation experts will make sure to help you organize and perform a smooth, stress-free move. Planning the move. Since every relocation requires some time to prepare, it’s not easy to manage everything on time. Buying packing supplies, gathering paperwork and sorting out your belongings can all take a lot of energy. If you are moving as a senior, you should consider hiring our senior movers to help you plan your relocation. Traveling to a new home. Whether you are moving locally or long distance, you should think about the type of traveling you prefer. If you plan to move by car to your new home, make sure to check everything with your car before the moving day. Packing for the move will take most of your preparation time. If you plan to move a long distance and have a large inventory to move, it’s better to call professional packers. Our senior movers can help you pack and prepare everything for a stress-free move. When it comes to moving as a senior, our moving company is here to help you ease your relocation and minimize the moving stress. With Triple 7 Movers, you don’t have to worry about packing and moving your belongings. If you are moving to Las Vegas, consider hiring our experienced senior movers. With our moving services, your relocation doesn’t have to be stressful. Contact Triple 7 movers and get your moving quote today! Moving as a senior is not an easy task. Luckily, our relocation experts from Triple 7 Movers are here to make it easier. We are a moving company offering affordable moving quotes and listening to our clients’ needs. Moving to a new home after retiring has never been easier with reliable movers like us. If you are looking for local moving services in Las Vegas or just need help with packing your belongings, we are here to help. All you need to do is to give us a call and we will make sure to provide the best moving service for you!